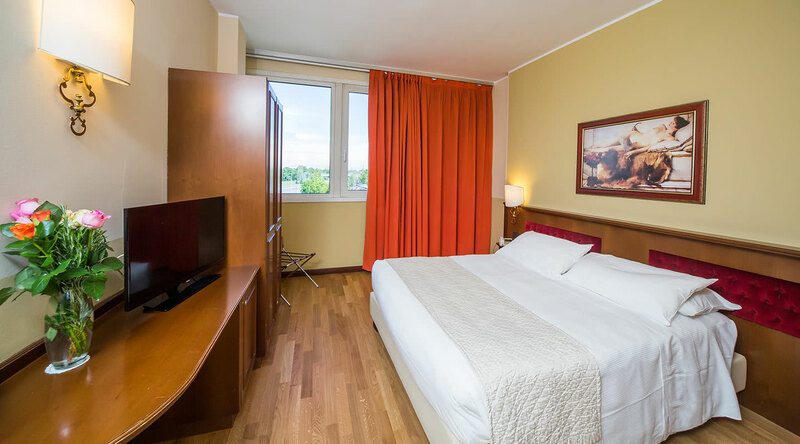 Rooms of our hotel are very comfortable: spacious and practical spaces with classic style furnishings and personalised with extreme care and passion for details. Entirely hand-crafted marble in warm tones, precious and refined textiles, pure linen bed sheets under hypoallergenic duvet and white, light cotton satin quilt covers: details designed for the pleasure of the senses. 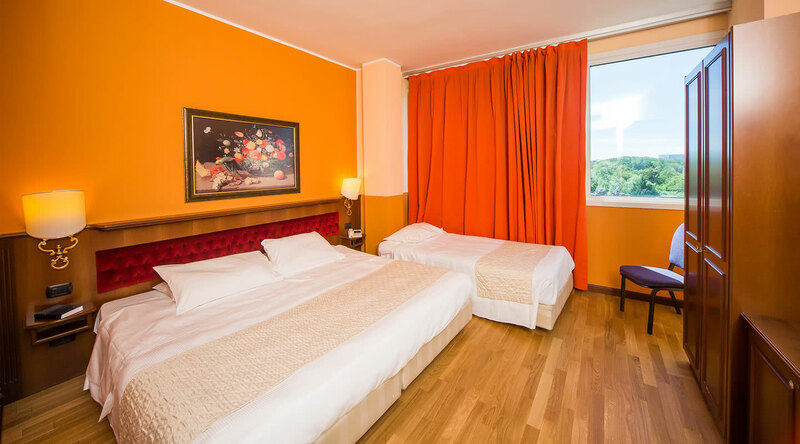 All the rooms are fitted with modern conveniences and free Wi-Fi and Sky TV channels: a perfect marriage of timeless elegance, Italian style and advanced technology, in Milan near Mediolanum Forum Assago and the highway.